My sermon this morning dealt with World Communion Sunday and what it means in our denomination to practice an "open table." The text we read was Mark 14:22-24. 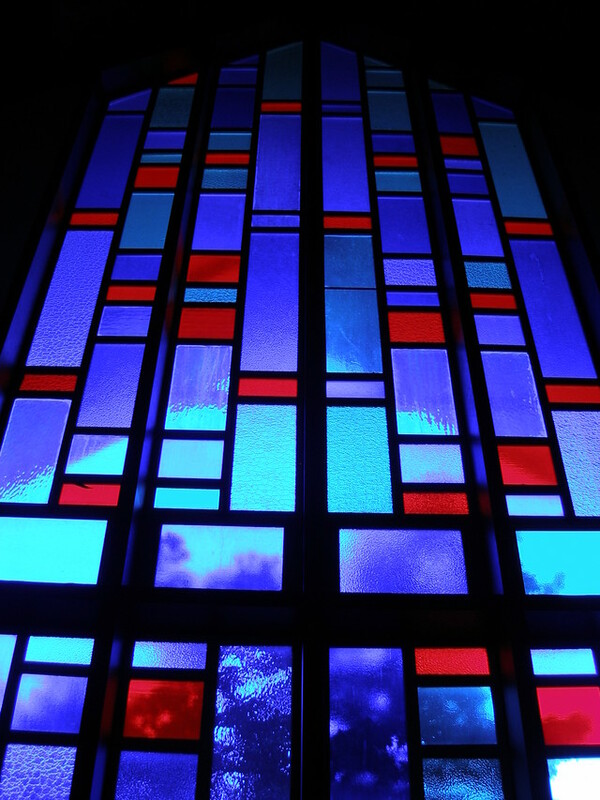 The window in this photo comes from Parkrose Community United Church of Christ.